As a coach I would never think of going into an athletic contest without a game plan. A game plan is essential if I want to put my team in the best possible position to win. A game plan gives a course of action to take, and is the basis for the coach to make decisions. 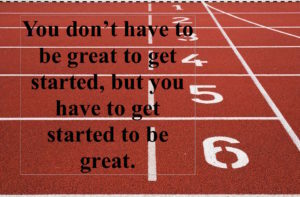 A good coach would never think of just showing up for a game unprepared, without a plan. Just as a coach has a game plan to help his team win, you need to have a game plan to win big in 2017. A plan allows you to be intentional about how to achieve success. The old saying is true, “Failing to plan is planning to fail.” This is true in sports, and it’s also true in your life and mine for the new year. Where are you headed in 2017? Every year I work with people who have a dream of where they want to go with their life, but they don’t realize the road they are on will never take them there. Your desired destination must match your habits, attitudes, and actions. A game plan assures that you are doing what’s necessary to get where you want to go. If I want to leave my home in Northern California and take my family south to Disneyland, we will never get there if we get on Interstate 5 going North. Driving faster won’t get us there, having a more fuel-efficient car won’t get us there, and being really, really determined won’t get us there. We may even have a great time in the car together, enjoying each others company, but we will never get to our destination, because we are not on the road that will take us there. The same thing is true in every area of your life. If you want to get somewhere in 2017 in your relationships, in your career, in your health, in your finances, in your education, in any area of your life, you have to make sure you are on the right road. That’s where the game plan comes in. A life game plan will ensure you are on the right road. Here are four key elements to an effective life game plan you can use to help bring about greater success in 2017. 1. Know what you want. As crazy as this sounds, a lot of people don’t really know what they want. They have a general idea, but it’s not specific enough. 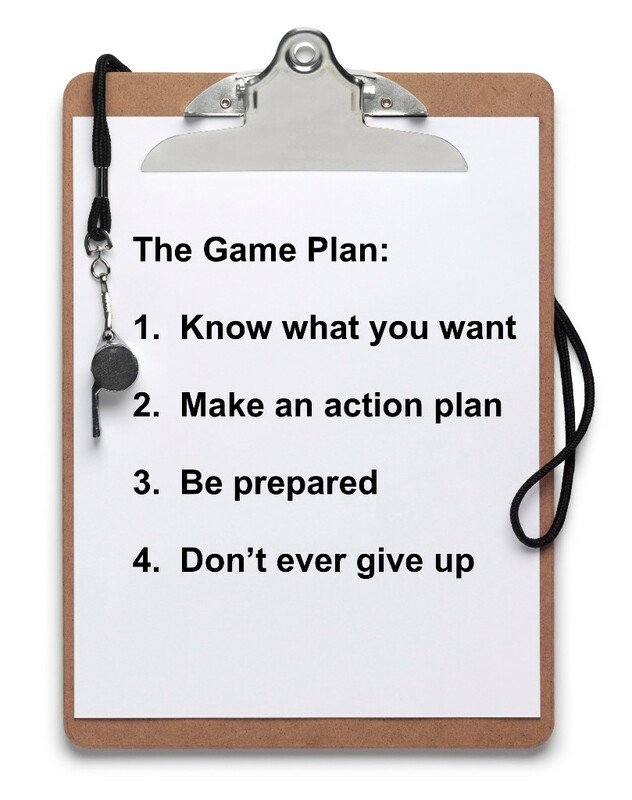 Your game plan starts with knowing exactly what you want. What do you want for your family life, your business life, and your personal life in 2017? When I was a teenager my dad sat me down and taught me how to set goals for the coming year. Ever since, I’ve written down my goals to start the new year and have a file of goals I’ve set for the past 20 years. When I look back I know that I have been intentional about what I want to achieve in my life. This year I have set goals in 6 different areas: Family Goals, Personal Growth Goals, Health Goals, Financial Goals, Career Goals, and Ministry Goals. In each area I have specific, measurable goals to keep me focused on exactly what I want for 2017. 2. Determine how to make it happen. Once you determine exactly what it is you want, set up an action plan. This is the second part to an effective game plan. Determine what actionable steps you need to take to reach your goals. A goal is great, but an effective game plan includes specific things you are going to do to that will enable you to reach your goals. 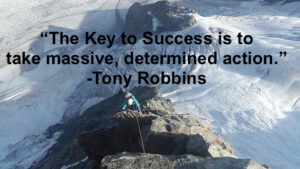 Tony Robbins says, “The key to success is to take massive, determined action.” A game plan is not something you create at the beginning of a year and then set it aside only to be forgotten about before January is over. You must have a detailed plan of action so you know how you are going to achieve each goal. Don’t take any days off with your action plan. Every day you must think about the actions you took yesterday, the actions you are taking today, and the actions you are going to take tomorrow. 3. Preparation is a must. Abraham Lincoln said, “I will get prepared, and then perhaps my chance will come.” Set yourself up for the success you want tomorrow by getting ready today. Whatever opportunities await you in 2017, don’t wait until the opportunity presents itself to get ready. Timing is everything, and how sad to miss an opportunity because you weren’t prepared. Preparation is not easy. It takes work! Do everything you can before an opportunity presents itself, so that when the opportunity arrives, you are ready to take full advantage of it. Remember, opportunities are not ever really lost, they just go to someone else. Get every opportunity that belongs to you in 2017! 4. Don’t give up when it gets tough. There will be adversity. There will be times when things aren’t going according to plan. A part of being successful is understanding that things will seldom go exactly according to plan. They key is not giving up just because things get difficult. Don’t abandon the game plan when things get tough. Be willing to make adjustments, be willing to be flexible and adapt, and whatever you do, don’t quit! There will be times in 2017 you will want to give up, but don’t. Understand there will be days when you feel less motivated, and you will want to throw in the towel. But recognize when those feelings begin to surface, and fight through it! Continue to fight, continue to persevere and stick with the game plan! This is going to be your year!! Create a game plan for this year to achieve all the success you want in every area of your life.